It's a Saturday night, and the dining halls are closed. You've got a deadly hankering for something new, something delicious, and something that won't burn a hole in your wallet. 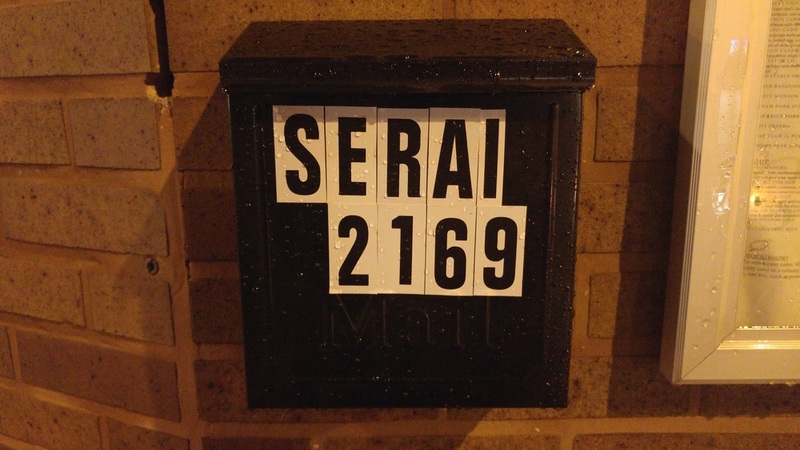 I present to you, Serai. As a Singaporean, I've spent the last year scouring Chicago looking for anything that vaguely resembles home-cooked food. Serai, a Malaysian restaurant nestled in Logan Square, takes its name from the Malaysian word for "lemongrass". As they explain on their website, "It's a unifying ingredient that connects all countries across the region, and adds that extra little kick to make a dish truly authentic. Also, it is soon to be the answer to your call for genuine South East Asian cooking." And they aren't lying, that's for sure. As a Singaporean and die-hard foodie, I consider myself something of an authority when it comes to Singaporean cuisine. Despite the fact that Serai is a Malaysian restaurant, the truth is that the cuisines of the two nations are so tightly intertwined that they sometimes even lead to heated debate between the respective Tourism Boards. National disputes aside, Serai serves the most authentic Malaysian cuisine that I've ever had in Chicago, and its dishes tug at my Singaporean heartstrings like no other. Located on North Milwaukee Avenue, Serai occupies a quiet storefront that doesn't immediately announce its presence to all and sundry. Having just recently opened in early December, it's the first Malaysian restaurant to grace the heart of the city in the past eight years, since Penang burned down (Penang eventually re-opened in Arlington Heights). When we arrived at the restaurant, signs of its soft opening were still apparent, with half of the establishment closed off. We sheepishly told the host that although there were only four of us, we had seventeen friends on their way to join us. Given how packed the restaurant was, we weren't surprised when he told us it would be nigh impossible to seat all of us. However, less than twenty minutes later, when the rest of our motley crew showed up, they decided to open up the second half the restaurant, which saved us the trouble of desperately looking for somewhere else to eat. The servers are friendly, the food is authentic and delicious, and the prices are pretty reasonable. If you're not the most familiar with Southeast Asian cuisine, here are a couple of recommendations of what to try (and what to avoid) for your first trip to Serai. Char Koay Teow - This is a quintessential Malaysian stir-fried noodle dish, rich with flavor and umami. It usually packs some heat, so be sure to ask for less chili if you're not one for spices. Serai Curry Laksa - Another noodle dish, this Peranakan dish is a warm, hearty combination of Malay and Chinese cuisine. The broth is a delicious mix of curry and coconut milk, and it's the perfect dish for winter. Nasi Lemak - This traditional Malay coconut rice dish comes with your choice of meat (I recommend the Beef Rendang), and is sure to hit all the right spots. Singapore Noodles - I can't stress this one enough. Just as chicken tikka masala isn't actually an authentic Indian dish, Singapore noodles is something you would be hard-pressed to find in Singapore itself. While I'm sure the dish is delicious, it isn't something any self-respecting Singaporean would consider true Singaporean cuisine. Pad Thai - There are plenty of places to get great pad thai in Chicago. If you've made the effort to venture all the way out to Serai, there are much better dishes that deserve your attention. Serai even steps beyond the borders of Malaysia, offering up thirst-quenchers like this Thai iced tea. All photos by Jonathan Lim. Do you have any favorite new restaurants that we should check out? Let us know in the comments below! wannabe fashion nerd & food architect.